Officially A Yuppie: Death Detail N.E.W. Album! 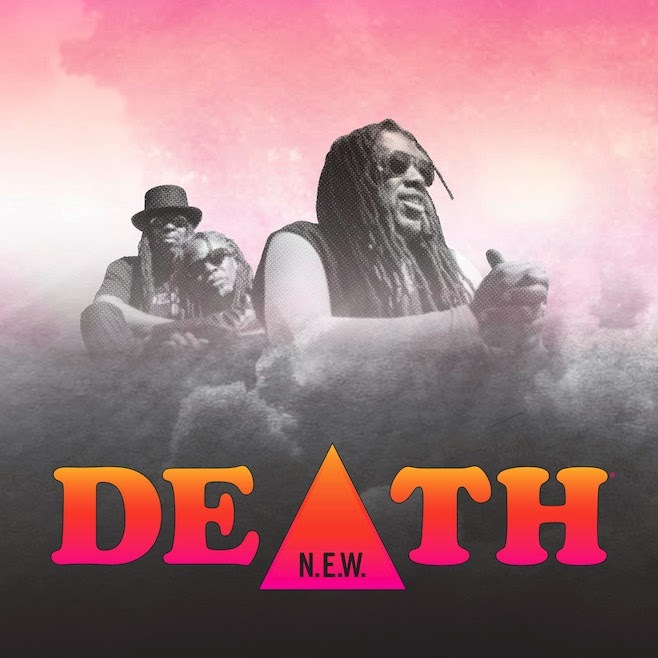 Proto-Punks Death will release their first album in over 40 years. The band, who lost their leader, David Hackney, recorded new songs and songs that were never recorded that David had contributed to before his passing. The record, N.E.W. will arrive in April. Take a look at the cover, above, and the tracklisting, below, and hear the first single "Look at Your Life."